The latest update improves the speed of tracking and captures new data for each message view. The user interface for viewing results has been completely re-written adding graphs and aditional breakdowns for the data already captured and making it easier for administrators to get around. This means all existing trackmail users instantly gain new insights into the messages they already sent. 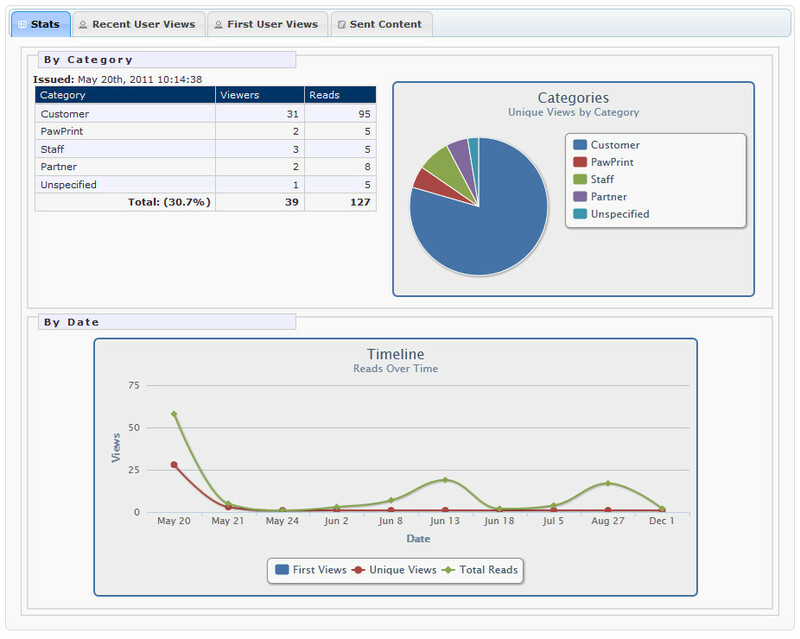 The preview shows the new stats-view that gives a summary of the message readership and category breakdown. Trackmail is a module of the XDeCMS and available for an aditional $75 one time fee for any XDe based web site.